Balancing Stress … With a Bracelet? How are you at identifying your stress triggers? And if you’re adept at figuring them out, are you also good at coming up with ways to mitigate the stress from that situation? 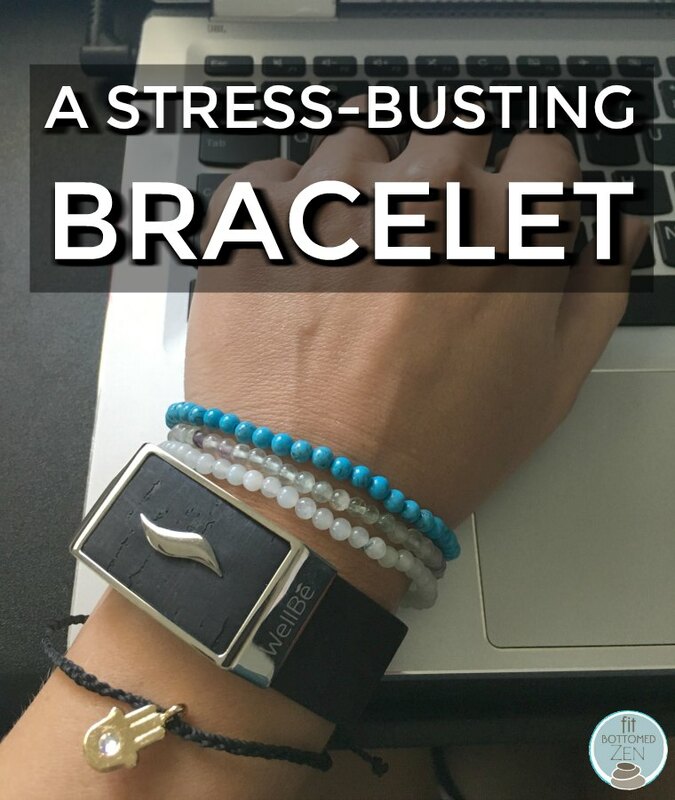 I was recently sent a WellBe bracelet ($149), which calls itself “the world’s first stress balancing bracelet,” and it’s designed to help with allll of that. The lightweight cork biofeedback bracelet, which connects to an app on your smart phone, monitors your heart rate, using that (plus, you know, science) to determine how stressed or calm you are throughout the day. It also takes into account where you are, who you’re with and what you’re doing (based on access to your phone’s calendar and location). Yeah, you read that right — it helps you figure out the most stressful aspects (and people) in your life. This is pretty good information to know, right? Once it’s figured out what’s (or who’s) stressing you out, the app offers up a bunch of mindfulness and meditation options — think breathing exercises, guided meditation, etc. Once you’ve used it for a while, the Wellbe can use what it learned from your body’s reactions to the various mindfulness exercises and actually suggest which ones are most likely to be effective for you in a given situation. Of course, you can use the “Relax” feature at any time, choosing from 5-, 10-, 15- or 15-plus minute exercises under categories like music, breathing and meditation. There are also compatible multi-day and multi-week meditation courses available for additional fees. Attractive and easy to wear with just about anything. Nice variety of options for mindfulness exercises. Doesn’t beep, boop or notify you about anything — which is good considering it’s designed to help reduce stress. (The app does send notifications, but the bracelet itself is silent.) It does one thing, and it does it well. You get out of it what you put in. This would be a pro for someone who actually puts things in their calendar, but … I don’t have my day fully scheduled that way, and most of my meetings take place at my desk in my house, so there’s only so much feedback WellBe can provide when I don’t give it much to work with). Battery life could be better, but it only takes 20 min to charge, so not a huge deal. Not waterproof (so don’t shower with it). The functionality is limited. This is actually both a pro and a con, because, part of the allure is the lack of beeps and boops, right? But if you’re looking for something that will also track steps or food or anything like that, this is probably not the tracker for you.